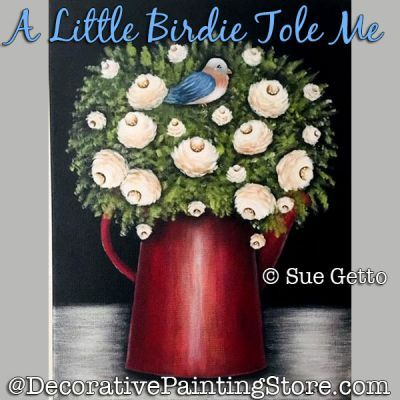 Bouquet of roses and blue bird in red watering can. Pattern approx. 12"x16". Enlarge or reduce to fit your surface. Pattern includes photos, supply list, instructions.